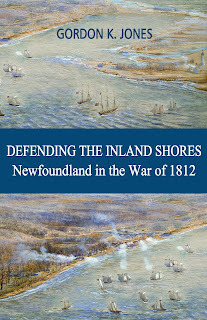 Kingfisher Premium Lager is usually sold in six packs at the LCBO. I am usually reluctant to by a six pack of an untried beer in case I don't like it. This is a little silly as I have not yet found an undrinkable beer but was happy to see that this store on Queen's Quay had broken up a few packs to sell individually. 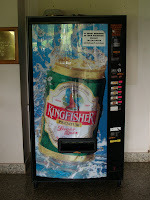 Kingfisher is a lager which is brewed in India. During the 1800s, England would ship highly hopped IPAs over to their troops in India, thus the name India Pale Ale, and was interested to see if the local breweries would keep up that nice hoppy taste in their lagers. Formed in 1915 when a Scotsman, Thomas Leishman, combined 5 breweries, the old est being Castle Brewery which was started in 1857, to create United Breweries, originally created to brew beer for the British troops stationed there. Their headquarters (pictured) are now located in Bangalore, India. 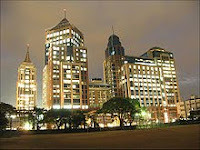 Now their Kingfisher Premium Lager has a market share of 34% of the beer sold in India. People there seem to like this beer. 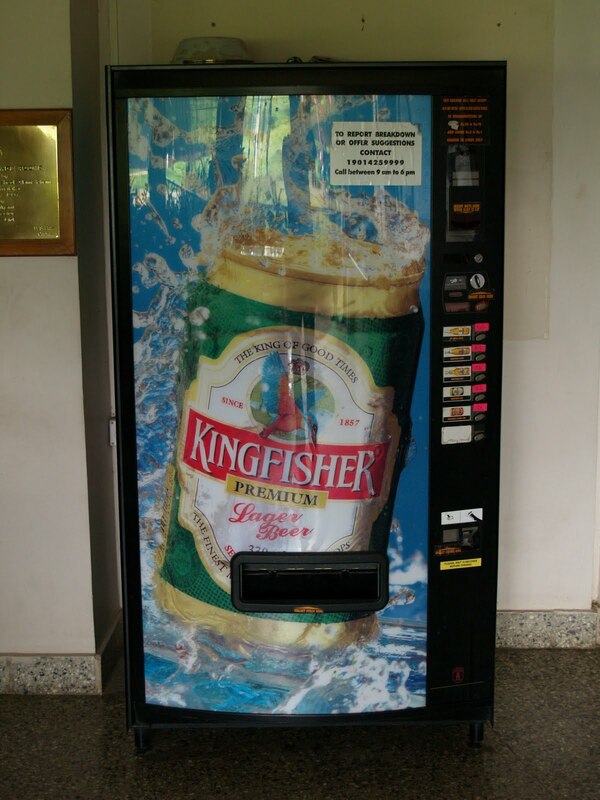 Speaking of Bangalore, the beer machine below is at the Bangalore Golf Course. Anybody have any change? I’m a little thirsty. Now they also are distillers and make a variety of whiskey, brandy, wine, gin and vodka are the world’s numb er 3 distiller. They also have an airlines, make fertilizer and are an engineering group. There beer has a nice head when poured although there was very little in the way of lacings on the glass. It is a golden yellow colour with a pleasant floral hoppy aroma. There is a bitterness to this beer which stays through the finish. This is not a great beer, but a good beer. I would not rush out to buy more but if I saw it on tap at a pub would give it a go.